this is not a little girls peach fragrance, its much more adult, sophisticated and clean. I just put it on, so Im waiting a little for the drydown. At first, I smell a hint of dish soap – but that is starting to fade. The notes were: white peach, orris powder, sandalwood, amber wood. I like the sandalwood with the peach – i think sandalwood really brings the mature womanly aura to a fragrance.. its nice, perfect for our early summer days.. 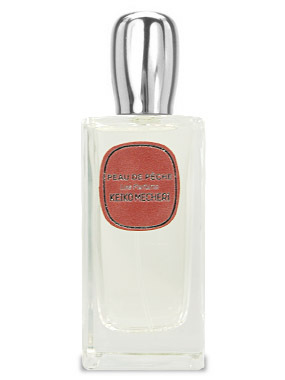 It hasnt become my signature.. and it didnt wow me like KMs Loukoum, or Montale Sweet Oriental Dream.. but im realizing that once it gets really hot – i cant pull these scents off anymore.. they are definitely winter scents, Peau de Peche would work for spring & summer.